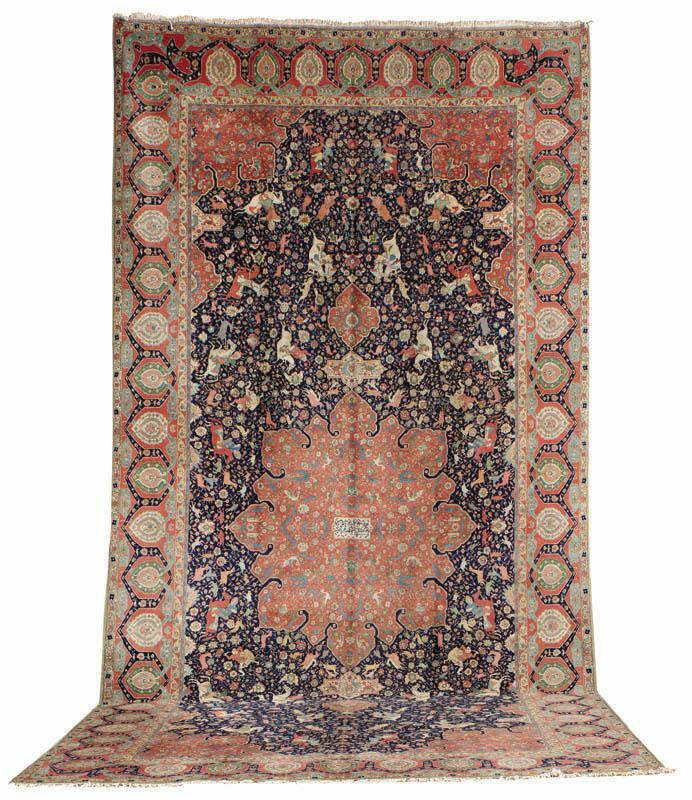 If you find a Persian city carpet made with Symmetric knot and a tight two level foundation then it is likely that it is a Tabriz carpet. 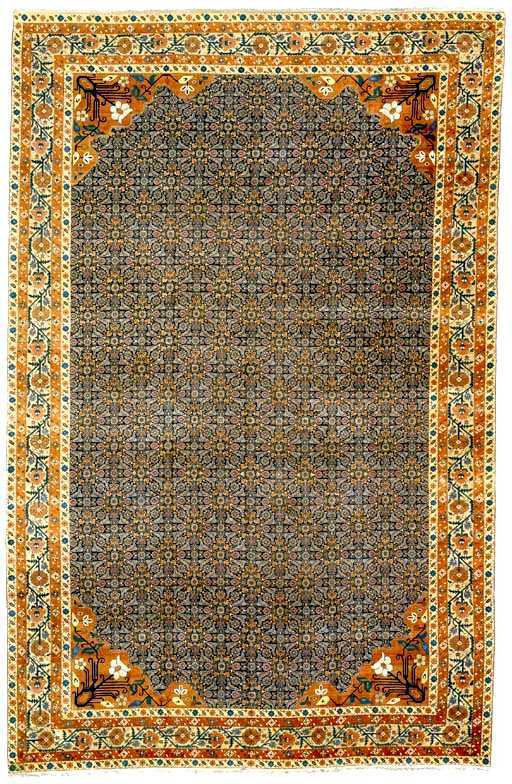 Most Persian City carpets are made with a Persian knot. 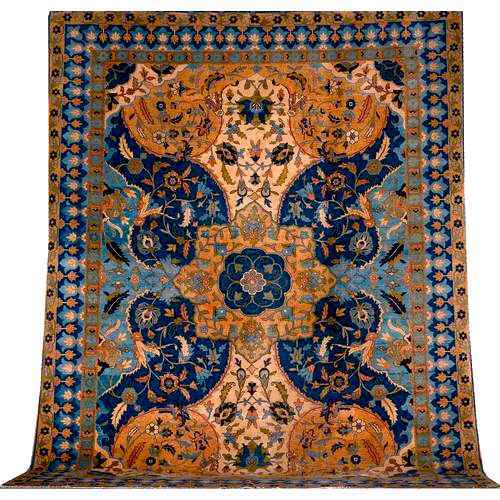 Tabriz has long been a very cosmopolitan center of Persian carpet weaving. So there is not a single or distinctive Tabriz style. The two major influences of the commercial era have been the native Persian traders and the Germans. PETAG or Persien Teppich AG was an innovative and aggressive marketer and producer of carpets in a number of cities but particularly in Tabriz. 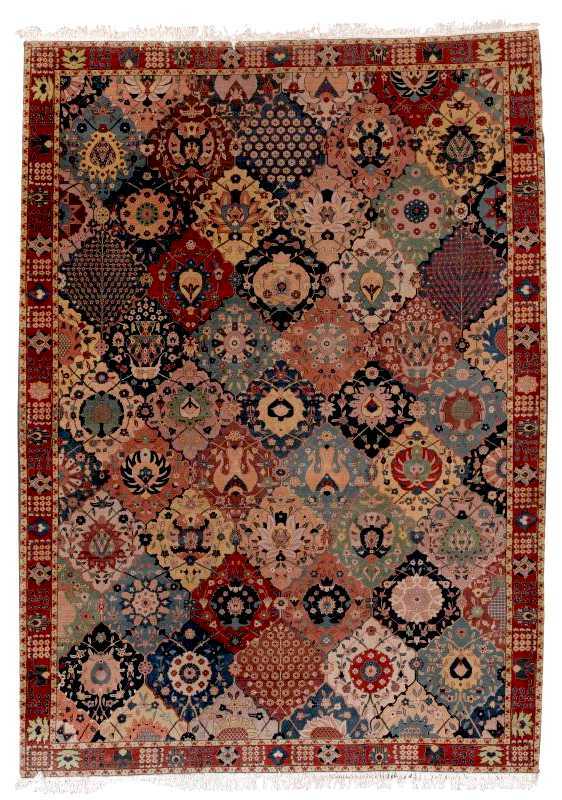 PETAG Tabriz Carpet 1st Quarter 20th C.